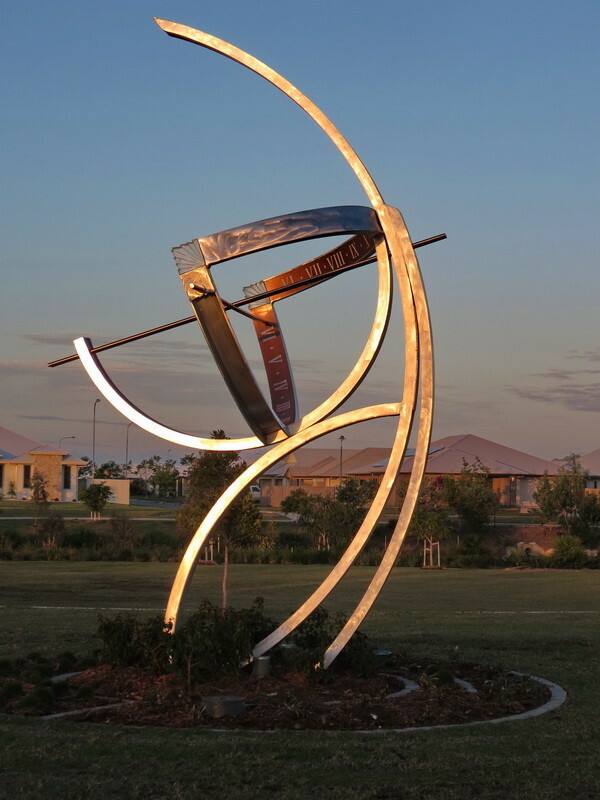 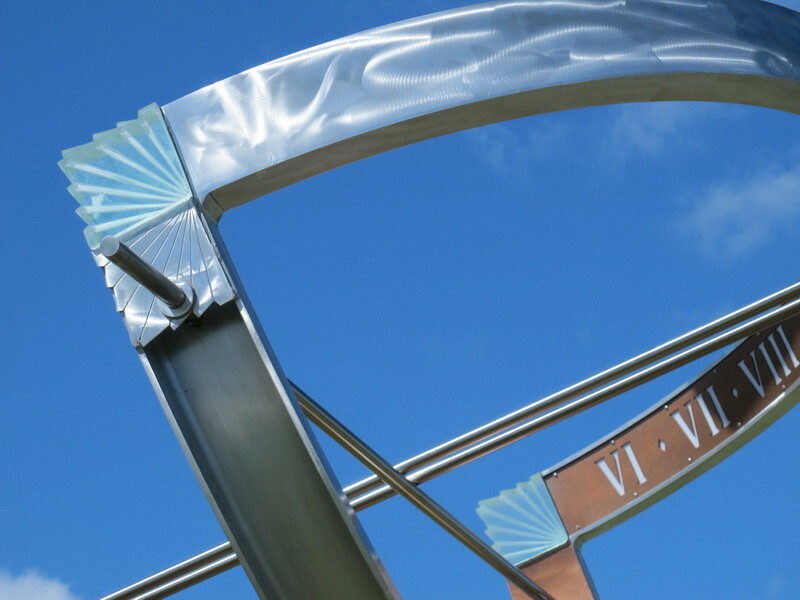 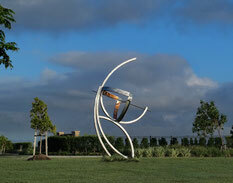 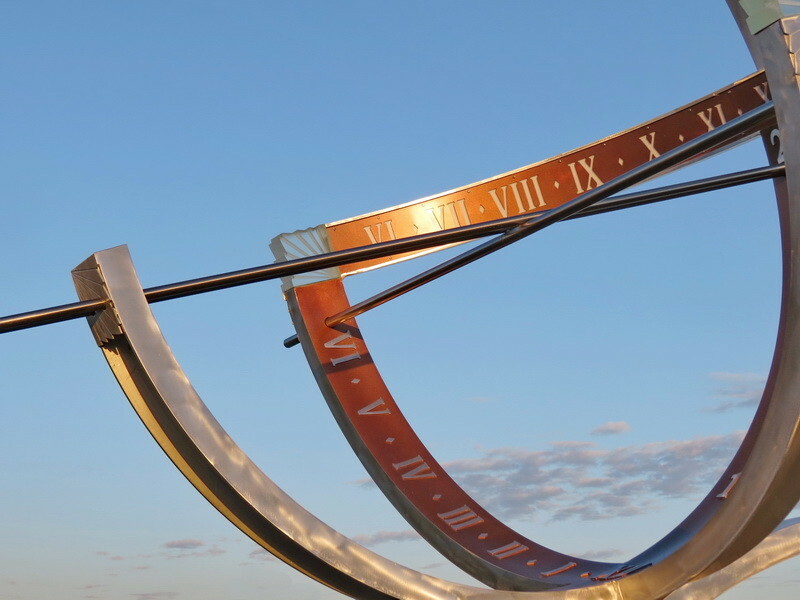 The sundial evokes both contemporary and ancient dependence on time as a socially agreed, unifying force. 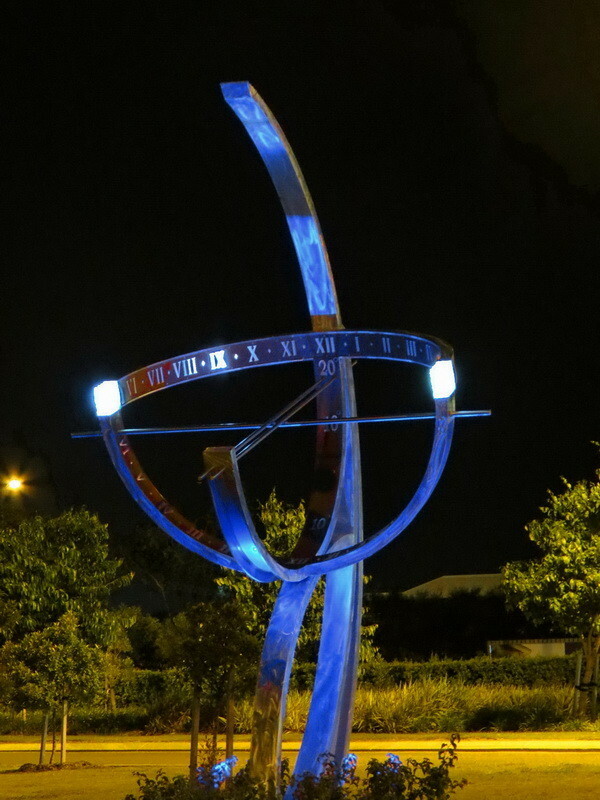 In this, a “24 hour sundial”, the ancient, and inaccurate, time tracking of the sun’s shadow is contrasted with a computer controlled atomic clock that carries the task on through the night, and with great accuracy. 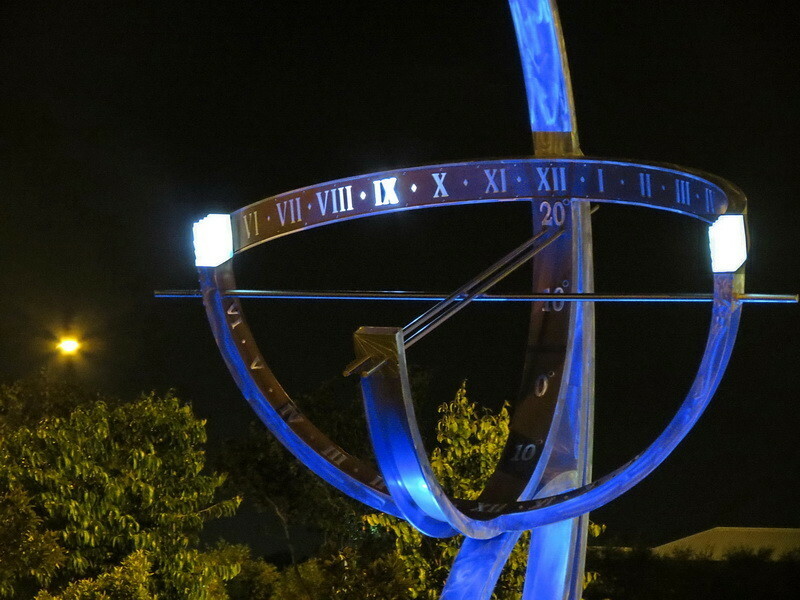 The double gnomon also indicates the latitude of Townsville – 190 25’.